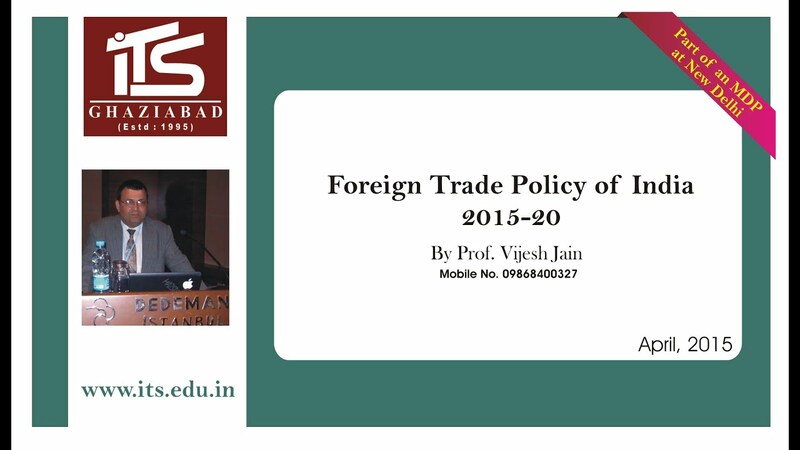 Foreign Trade Policy of India 2015-20 has been announced on 1st April 2015. It is a key policy announcement by New Modi government and can be a revolutionary start of internationalization of India's foreign trade. While the provisions and targets of new foreign trade policy are very modest, if implemented well the policy document will prove to be one of the best foreign policy trade document in South Asia and SAARC region. This video is part of an MDP conducted by me in New Delhi in April 2015 on the topic which was attended by senior industry persons representing large organizations which are involved in international trade.